The Grand Marshal of the St Patrick’s Day parade is the honorary leader of the parade. For Irish people it is one the greatest civic honours that an Irish person can receive. Outside of Ireland we have a tradition for also honouring non-Irish people as Grand Marshals. 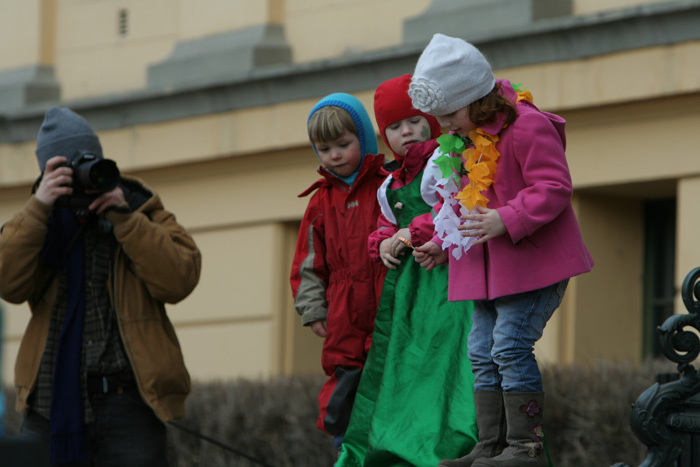 In Norway the St Patrick’s Day Parade is organised by the Norwegian Irish Society. The aims of the Society are to promote Irish culture in Norway and also to promote good and friendly relations between Ireland and Norway. In keeping with our aims, the Grand Marshal for our parade in Oslo is selected on the basis of their contribution to achieving these aims. 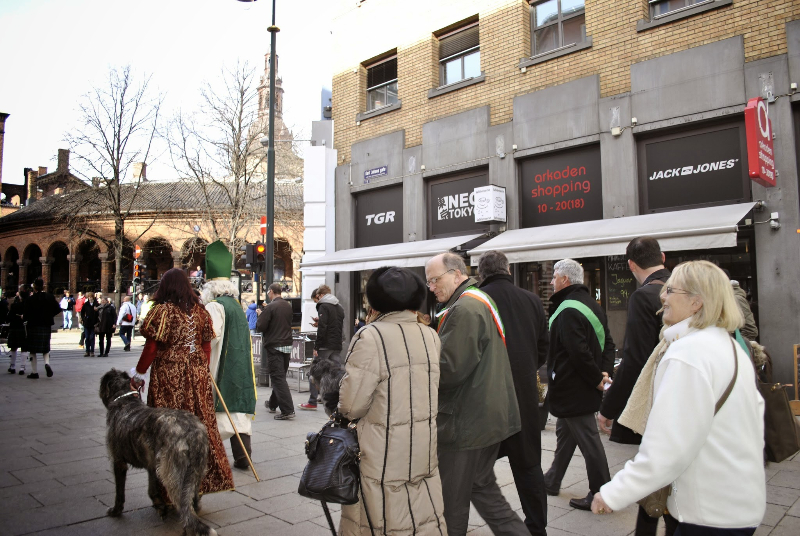 Nominees for Grand Marshal, both Irish and Norwegian, man or woman, are considered each year by the St Patrick’s Day Organising Committee, and the selected Grand Marshal marches at the head of the parade. – In recognition of their promotion of Irish sport in Norway, predominantly Gaelic Football and hurling. Back in the winter of 2009 over a couple of Pints in the Dubliner Oslo, a couple of Irish lads decided they wanted to bring a feeling of home to the city of Oslo, and create a social hub for Irish people coming to live in Oslo and introduce the Game of Gaelic football to the people of Norway and any other nationality who wished to join in with us. Gaelic Football was an unheard of game in Norway at the time so it was going to be quite a challenge to get this from a bar stool chat to a fully established Club both in Norway and in the European Gaelic Athletic Association. Word was sent around that a few lads wanted to get a training session in Gaelic Football going down in Oslo’s famous Frogner Park. Paul Deora was the driving force in getting the ball rolling and was supported by Domhnall Reynolds and John Murray. The first Oniells balls were brought to Oslo and first training sessions were run on a weekly basis. The Club was born, registered with The GAA and our Kit was ordered thanks to our first Sponsor Origin. 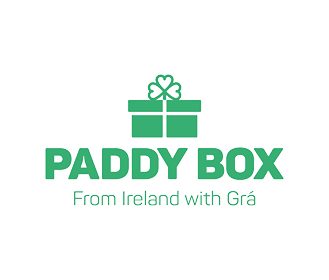 The kit landed in Gardermoen Airport and of course it was an Irish Mammy who got the job done for us. Jackie , Mammy to Graham Murphy a long-standing member of the club to this day. Oslo GAA headed to its first tournament in May 2010 in Copenhagen. In all only 2 players had ever kicked a Gaelic Football in anger. The results did not go our way that weekend but the first points scored for Oslo GAA were both from Norwegian Boots. And a new sense of camaraderie had been formed for anyone who wanted to be part of Oslo GAA. Oslo GAA is the first and only Gaelic Athletic Club to be formed in Norway. Oslo GAA has become much more than just a Gaelic Games Sports Club. Jobs and businesses have been created and found for people living or stayin in Oslo, Changing the lives of many for the better by being associated with Oslo GAA.The Club provides a platform for people to build life long friendships and business aquaintances alike. 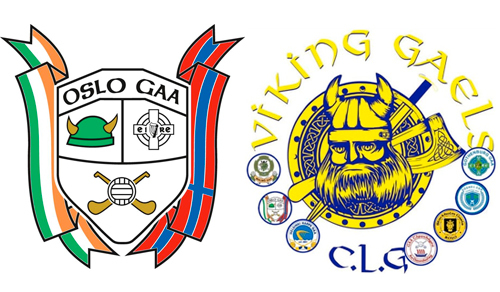 Oslo GAA have joined forces with other Nordic GAA clubs to form a Viking Gaels Hurling team in 2017. This has been a huge success and they have won several tournaments and shields in the past few years. 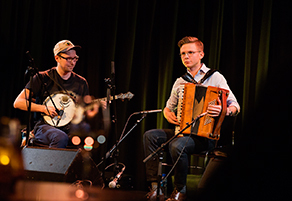 – In recognition of their promotion and performance of Irish music and bringing Irish music to a wider Norwegian audience. Anders Lillebo og Olav Rossebø er blant de fremste utøverne av irsk folkemusikk i Norge. Anders startet sin musikalske løpebane med å studere jazzpiano men har i løpet av de senere årene egnet seg stadig mer til ulike former for folkemusikk. Han tilbrakte bla. to år i Galway på Irlands vestkyst, hvor han lærte tradisjonell irsk folkemusikk fra noen av de beste musikerne innen sjangeren. I 2017 utgav Anders sin debutplate, Departure, i samarbeid med den anerkjente irske produsenten Jack Talty. Departure har så langt blitt meget godt mottatt og fått rosende omtaler i bla. «Irish Music Magazine» og «The Living Tradition». Olav Christer Rossebø er folkemusiker med fele som hovedinstrument. I tillegg til fele spiller han mandolin, gitar og mandola. Han har utgangspunkt i norsk folkemusikk men har gjennom en årrekke også fordypet seg i amerikansk og irsk folkemusikk. Olav Christer er bla. kjent fra band som Anders Lillebo trio, Lady Hardanger, Frøkedal, Geitungen og Earlybird Stringband. 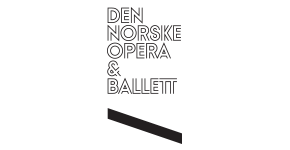 Sammen har de i løpet av de siste par årene gjort seg bemerket både innenfor og utenfor Norge ved å utøve irsk folkemusikk på en måte som vitner om stor forståelse og respekt for den rike musikkhistorien til den grønne øya. – In recognition of his work regarding the establishment of the first Irish Embassy in Oslo and his promotion of historic links between Norway and Ireland. 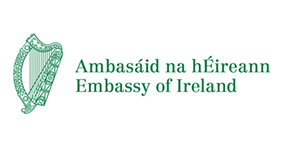 Eamonn has the distinction of being the first Irish diplomat to be stationed in Norway; he was sent to Oslo in 2000 as Chargé d’affaires, to set up the Irish Embassy, where he worked until 2005. He later worked as head of secretariat of KIM (the Contact Committee with Immigrant Communities) and as a head of unit in the Norwegian Knowledge Centre for the Health Services. 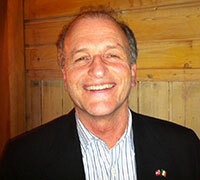 He has worked throughout his career on issues related to international affairs, development, and human rights. These days he works for the European Parliament, in a unit dealing with strategic foresight, with his family still based in Stabekk. 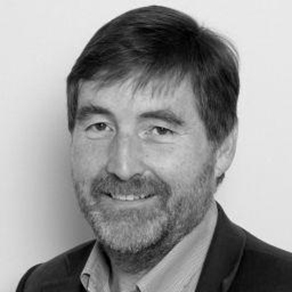 Eamonn was president of the Norwegian Irish Society from 2009-2014. He is a graduate of University College Cork and holds a doctorate in history from the European University Institute in Florence. He has a keen interest in relations between Ireland and Norway through history, and his publications include articles on Old Norse writings about Ireland (such as King’s Mirror). 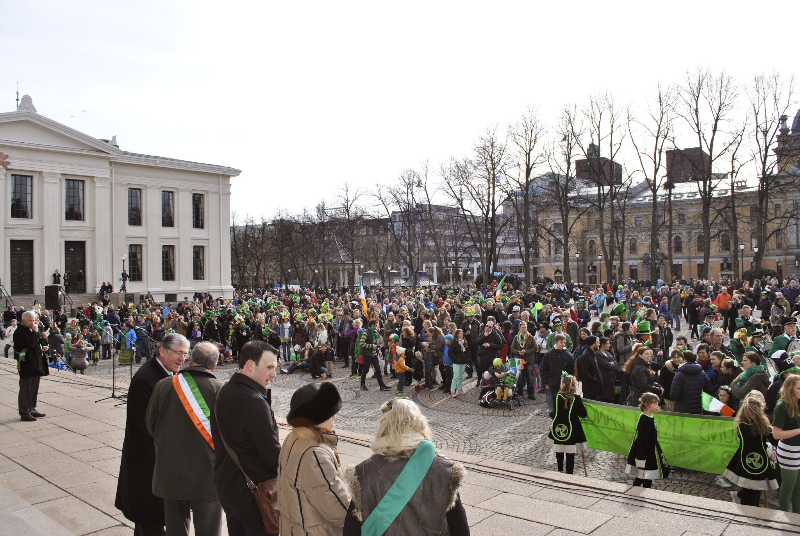 – In recognition of her active involvement in various Irish activities in Oslo, such as the starting of the Mná na hÉireann, being a founder member of the Norwegian Irish Society, having an active role in NIBA (Norwegian Irish Business Association) and organising the annual St. Patrick’s day Mass in St. Olav’s Cathedral. This year marks the 10th anniversary of the mass to celebrate Ireland’s national day. Dublin-born Nora moved to Norway in 1975, as a «Viking bride». A UCD graduate, she met her Norwegian husband Per Victor when both were trainees at the European Commission in Brussels. 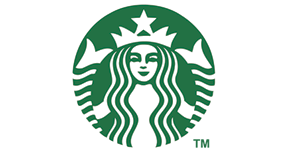 In Oslo, Nora has had a varied career, working originally in international marketing, telecommunications and publishing. 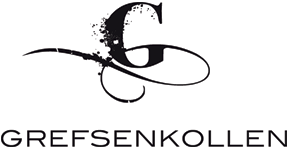 In 1991, she returned to her first love, teaching, and has been at Treider Fagskoler ever since. Nora has been responsible over the years for sending hundreds of Norwegian students to the workplace with an Irish tinge to their English. 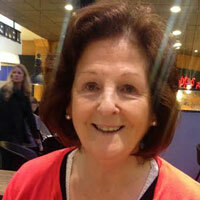 She is the mother of two Irish-Norwegian sons, and the grandmother of three one-quarter-Irish grandchildren. She feels truly honoured to have been chosen as Grand Marshal for the 2016 St Patrick’s Day Parade in Oslo. – In recognition of her support of the Norwegian Irish Society and organising events. Maria Scharffenberg was born in Dublin in November 1949. She left home in 1969 to work as an au-pair for an American family in Zurich, Switzerland. There she met Per, the love of her life, who was working as a goldsmith. They moved to Oslo and got (were) married in Dublin in September 1970. They had three children, Anita, Christina and Peter and later on two grandchildren, Molly and Ella were born. Per passed away in 2013, they had been together for 45 years. 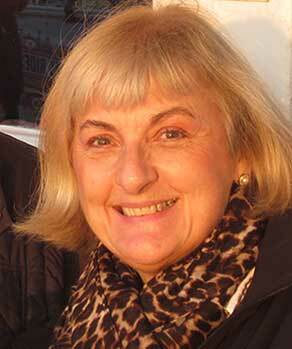 Maria has had a long working life, more than 40 years, working in administration and HR. She has recently retired in 2015. 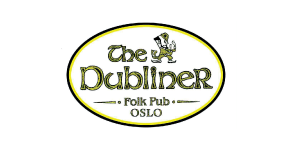 When the Irish Norwegian Society was established in the early 70’s, Maria became a member and was the president for many years, organizing events for Irish people living in Oslo, at a time when there were no Irish pubs or embassy. Maria was also chairman of the St Patrick’s Day Association for approximately 8 years. 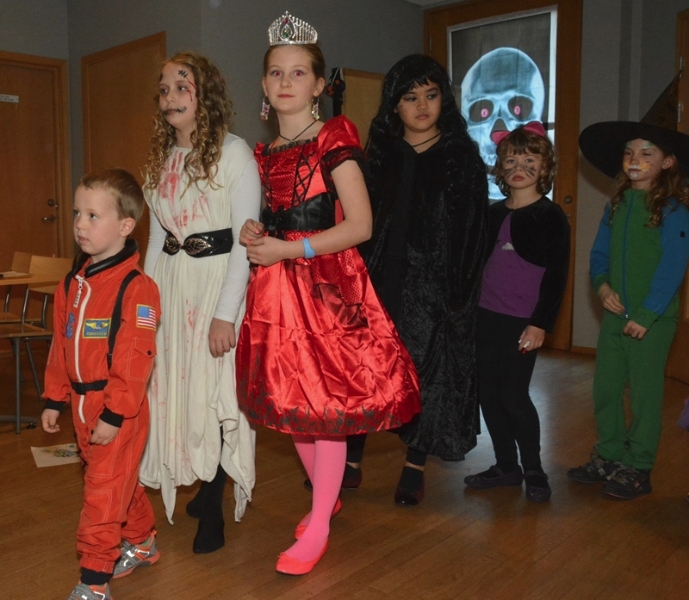 She is now a member of NIS and is the organizer for the children’s Halloween party. 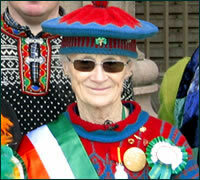 She is very proud to have been chosen as Grand marshal for this years’ St.Patrick’s Day Parade. – In recognition of his work in promoting and facilitating business links between Norway and Ireland. Tom Christiansen was born in Oslo in November 1949 – married to an Irish girl for nearly 40 years. As of 2014 he has 4 children and 4 grandchildren. He has worked in the Travel industry all his life, and has operated as a tour operator in organizing trips from Norway to Ireland from 1993. He had his own charter flights from Oslo to Dublin in 1994 – when it took five hours to travel between these two cities, on scheduled airlines. A charter flight, as well as todays service, takes under two hours. In the autumn of 1993 he was encouraged by the Irish Trade Board and the Consular General, to join them in “organizing a Norwegian-Irish Business organization” – which was formally established in the spring of 1994 – as NIBA, Norwegian-Irish Business Association. On the board from the start he took over as the Chairman after a few years – and still is. Tom travels to Ireland as often as he can – and really enjoys visiting the country and mingle with the locals – and also enjoys the company of his “in-laws”! 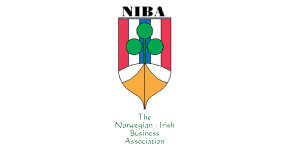 NIBA – the Norwegian Irish Business Association – was established in 1994 as a forum and network for companies, organizations and private persons interested in strengthening the business relationship between Ireland and Norway. Over the years the volume of trade between the two countries increased considerably and several important Norwegian companies established themselves in Ireland. This increased activity contributed to the opening of an Irish Embassy in Norway, at the start of 2001. Direct air service is also available, now with three airlines. 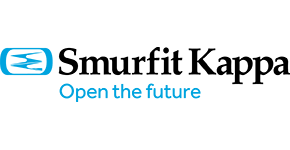 NIBA also arranges meetings for its members to cover topics of mutual interest such as investment in Ireland, export opportunities, and the experiences of Norwegian companies established in Ireland. 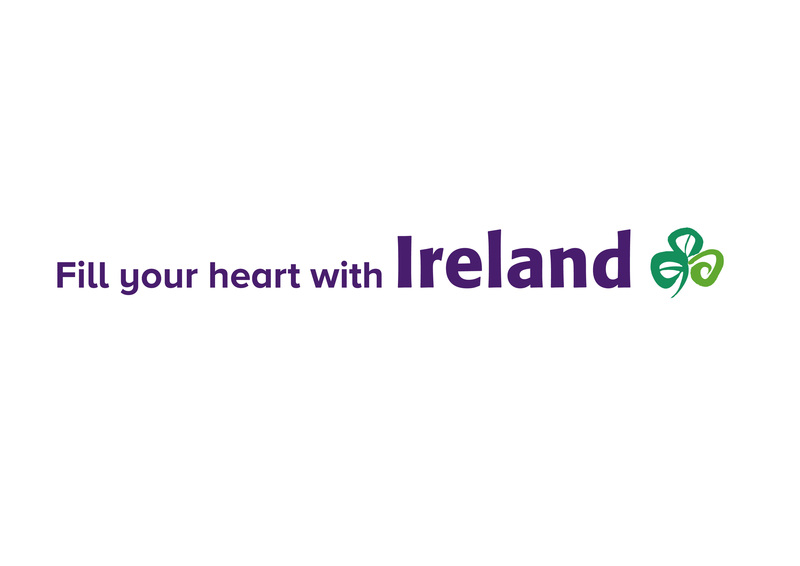 NIBA provides its members a unique opportunity to learn from the experience of other companies on how to build good relationship with Ireland. 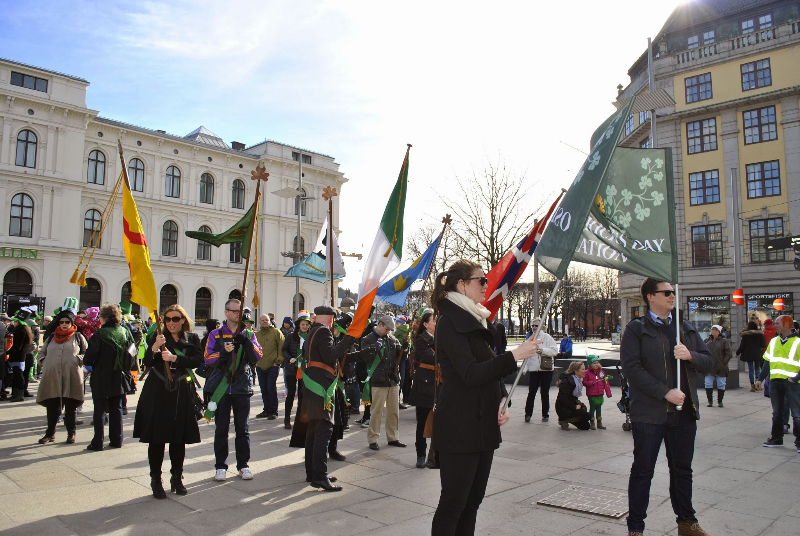 NIBA participates actively in social and cultural events, including joint activities on St. Patrick’s Day, the Bloomsday celebrations, book launches by Norwegian authors writing about Ireland, and other social gatherings. – In recognition for his efforts in bringing some of the best of Irish culture to Norway, whether it be art, music, poetry or prose and in establishing Bloomsday as an event on the Oslo culture calendar. Born and bred in Galway City, John has been living in Oslo since 1996. He was one of the founding members of the Oslo Saint Patrick’s Day Association in 2000. In recent years he has been an active member of the Norwegian Irish Society and chairs the Bloomsday Committee. 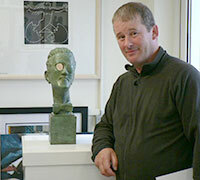 In 2009 he founded his company Irish Art in order to showcase and promote Irish and Irish based artists in Norway. In 2010/2011 Irish Art exhibited 13 Irish artists at Tromsø University in conjunction with the 7th Biennial International Conference of the Nordic Irish Studies Network. The exhibition titled Europe’s Edge probably holds the distinction of being the largest ever showing of Irish art in Norway. – In recognition for her promotion of Irish dance in Norway and for her longstanding work in supporting Irish cultural events. Hilde started Irish dancing in 1998 after seeing “Riverdance” on TV, and after much hard work and several trips to Ireland she is now among the leading Irish dancers in Europe. In 2009 she was the first in the world to obtain the Dancers Diploma at the Comisiùn Le Rinci Gaelacha, after finishing 12 Grade Exams. In 2010 she was the only Scandinavian dancer to participate in Breandan De Gallai’s dance production documentary “Dance Off” with RTE1. She is a member of Nordic Society of Irish Dancers and part of the Committee which every year organises the Nordic Feis in one of the Nordic Countries. Since 2001 she has been teaching Irish dance and started her own dance school, Sound Irish Dance Factory. Today her group has around 50 active adult dancers and 150 youngsters from beginner to advanced level. Hilde works closely with Ronan McCormack, one of the world’s most sought after Irish Dance choreographers, and every year she takes her aspiring teenagers to Dublin for a weekend of hard foot work, great fun and an insight into Irish culture and history. The adult dancers participate in the Ronan McCormack summer school, Rince, in Dublin. Hilde regularly creates shows in which she and her troupe perform. 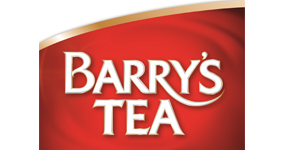 These shows are typically based on Irish mythology or history. Her shows have been based for example on themes such as the Tuatha de Danann and Grace O`Malley. Besides learning and teaching new steps and dances she uses this as an opportunity to expose new groups of dancers to some of Ireland’s history and rich mythology. – In recognition of his work in promoting Ireland and Irish culture, in contributing to the good relationship between Ireland and Norway, and providing support to the Irish community in the west of Norway. Eamonn Doyle was born in 1953 and brought up in Lancashire England by Irish parents from Co. Kilkenny; mother (née Stapleton) from Thomastown and father from Danesfort. He has worked in the oil industry since getting his degree in Geology in 1974; thus it was The Oil that brought him to Norway, in 1982. He met his wife, Kristine, in 1983 and, realizing the futility of trying to move a Bergenser from her habitat, he moved to Bergen soon after. He has never regretted it; nor, he hopes, have his children Sinéad and Ciarán, both born and bred in Bergen. 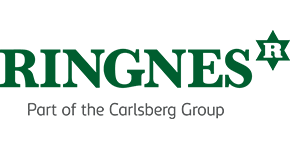 Bergen Irish Society existed in spirit for about 7 years before being organized under its present name in 1999. Eamonn became chairman in 2001 and still is; during this time BIS has grown to a total of 50 registered family memberships, or well over 100 members, with a hard-working and dedicated Committee. Eamonn remembers with pleasure the St Patrick’s Day celebrations of 2003 when Norway’s multi-talented Kenneth Sivertsen sang an impromptu version of Danny Boy. Such spontaneity and warmth characterizes the special relationship that exists between the Irish and Norwegian members of Bergen Irish Society. – In recognition of his work in promoting Irish music and in contributing to the good relationship between Ireland and Norway. Australian born Irish singer and composer Johnny Logan is probably best known for winning the Eurovision Song Contest for Ireland no less than three times. Since his first Eurovision win in 1979, Johnny Logan has sustained a popularity in Scandinavia, and has toured Norway frequently. In the early nineties he also toured Norway with the musical Which Witch. 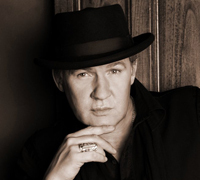 In recoginition of an impressive career representing Irish music and promoting good relationship between Ireland and Norway, Johnny Logan was selected Grand Marshal of 2010. – In recognition of his work in promoting Irish music. Born in Oslo in 1955, and a professional musician since the early nineties, Harald must be one of Norway’s longest-suffering “addicts” of Irish music. With a background including classical, folk and rock ‘n’ roll, he discovered Irish music in the mid-seventies – and never looked back. A regular in the Oslo sessions ever since, he was a founding member of the group Tara in the late eighties, and around that time started travelling to the legendary music festival of Miltown Malbay, Co. Clare, and has done so every July since then. These days, he is a member of the Corner Boys, and can be heard playing weekly at the Dubliner pub for the Oslo Irish Set Dancing Society. Playing a variety of stringed instruments plus keyboards, Harald has radio and television appearances to his name, festivals, concerts and pub gigs all over Scandinavia and beyond, plus the odd recording – but he will still quote the great fluteplayer Kevin Crawford that there is nothing like the magic of a really good session. – In recognition of her lifelong work on behalf of the elderly and needy. Shirley could rightly be described as Bodø’s answer to Belfasts ‘Black Santy’ but her appearance is in sharp contrast as she is instantly recognisable for her colourful and eyecatching appearance. Shirleys one man charity which is in its 23rd year, has been the subject of television documantaries and news items nationally for many years now and she remains a source of pride and affection for the Irish community as well as her adopted community in Norway. 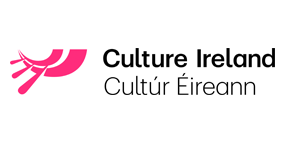 – In recognition of his work in promoting Irish culture. 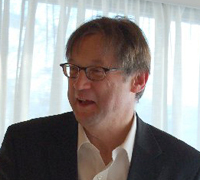 Jan Erik is associate professor of Irish at The Department of Linguistics, University of Oslo. He studied Celtic languages under professor Oftedal and professor Borgstrøm at the university of Oslo, continued studying Old- and Medieval Irish with prof. Gearóid Mac Eoin, University College Galway in 1976. He has a BA in Welsh and Irish and Norwegian, and a MA in Gaelic (Irish- and Scottish-). His PhD (dr. philos.) 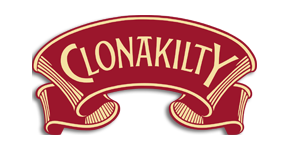 is on a sixteenth-century Irish text (a Life of Colum Cille (Columba). Crosscultural contacts between Norse and Gael in Scotland (mainly the Hebrides). At present he is engaged in an interdisciplinary project on crosscultural contacts between Norse and Gael on the isle of Tiree, in collaboration with Aberdeen University. In this project Jan Erik is looking into early Christian influences on the Norse settlements in the area. H.B. Clarke, M. Ní Mhaonaigh & R. Ó Floinn (eds. )Ireland and Scandinavia in the Early Viking Age, 277-287. Four Courts Press, Dublin. 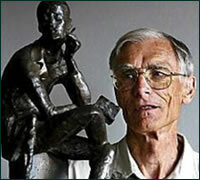 Bjørn is a Professor Emeritus at the Institute for British and American Studies at the University of Oslo. He was a Professor from 1985 to 2002. Previously he was a lecturer at Oslo, and briefly at the University of Sussex in the United Kingdom. One of his main research interests over the years has been James Joyce. “Joyce and Ibsen” was published in 1968. 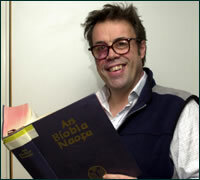 Bjørn has also written and lectured on Irish poetry, not least W. B. Yeats and Semuas Heaney. 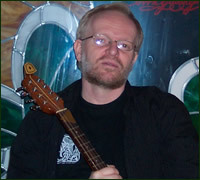 Bjørn has also written on Norwegian literature, and takes a special interest in cross-currents between Norwegian and English-language literatures. His latest contribution to literature in a long and distinguished academic career is his book on “James Joyce, his life and writings”. The book is the first biography on Joyce written in Norwegian. Joyce would probably have approved; he taught himself Norwegian in order to study the works of Henrik Ibsen in the original language. Joyce considered Ibsen to be superior to Shakespear as a dramatist. Bjørn’s career has spanned more than forty years, and his study of the works of James Joyce has been ongoing throughout. Like all Joyce fans Bjørn has walked in his footsteps in Dublin (and in Galway). Bjørn himself has been honoured by a book. This book seeks to honour Professor Bjørn Tysdahl’s contribution to literary studies in particular, and, more generally, to the academic communities of several countries. It does so by presenting a collection of articles which add to the understanding of some of the texts, authors, periods and topics that have appeared in Tysdahl’s own writing during the course of his long professional career – still continuing after more than forty years. “The difficult road” is a book about the troubles in Northern Ireland. “There are no strangers, only friends you haven’t met” is a book for young people. Annette came home to Norway from London in 2000 – as head of radio news. After ten months in that job she moved and became head of TV-news (Dagsrevysjef) – and that’s her current job.